Financial year is about to over and it is time to do tax saving exercise. 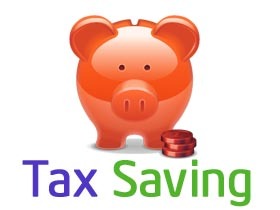 It is possible to achieve major tax saving by doing proper planning. If you are confused in terms of where to invest your money for tax saving here is simple yet logical method of Tax saving by following simple flowchart. If your answer is No. Recommended Tax saving options are given below. You can plan to purchase life insurance cover. Life insurance can bring saving up to 1.5 Lac on premium under section 80C. If you are covered adequately with life insurance & health insurance you can skip to next section. If your answer is YES.Recommended Tax saving options are given below. You can plan to invest in equity based ELSS. ELSS are equity based mutual funds with lock in period of 3 years. ELSS can provide to tax saving of 1.5 lac under section 80 C.
Another way to save tax using equity investment is ULIP. ULIP gives advantage of life insurance and investment. Investment made under ULIP are subject to market risk. If you are not Opened Risk you can skip to next section. Need Safe Investment for Retirement? You can plan to purchase NSC or can invest in PPF. NSC or PPF provides you return in range of 8-8.5%. Investment under NSC or PPF also falls under section 80C. Another way to invest for retirement is SCSS- Senior citizen saving scheme, but Investment under SCSS is permissible only after age of 60 years. If you are not looking for any safe Investment for Retirement you can skip to next section. Want Tax Saving without Investing? Yes you can achieve tax saving without investment also. Under 80TTA you are entitle for tax saving up to 10,000 Rs/- on saving bank interest. If you have taken home loan, Interest amount up to 2 Lac is allowed as tax exemption under section 24. Education loan brings you additional tax benefit. Entire interest amount is tax exempted under section 80E. If you are paying tuition fees for your children you can claim tax exemption under 80 C for the amount paid as fees. If you are disabled person, based on severity you can claim tax deduction 50,000 Rs/- to 1,00,000 Rs/- under section 80U. Amount spend up to 60,000 Rs/- on certain diseases can be claimed as tax exemption under section 80DDB. Donation amount up to 10% can be claimed as tax exemption under section 80G. « How much money is enough for retirement in India?